After using this for a few months, we absolutely love it! It is great to pack everything we need into the little mesh bag that attaches securely to the inside of the bag and then have this bag transform into what we need as we go about our daily outings. This bag hangs on a hook in our home and we frequently find ourselves grabbing it for our park, shopping, swimming, zoo, and many other adventures! It easily converts from one purpose to another and fits Savy Baby really well. I love that the bag is a nice light and breathable fabric and really easy to clean! The bag is cinch style, so it's easy to close and secure and features easy close magnets around the edges for extra security. The leg holes for shopping carts, swings and highchairs are hidden underneath an easy to access and quick open/close zipper. I chose the Royal Mist design and I really love it. It is a nice classy looking design that any mom wouldn't mind toting around. In fact, when baby grows up and doesn't need as many as the functions, this bag will still be a staple in our house for quick trips to the pool or park! 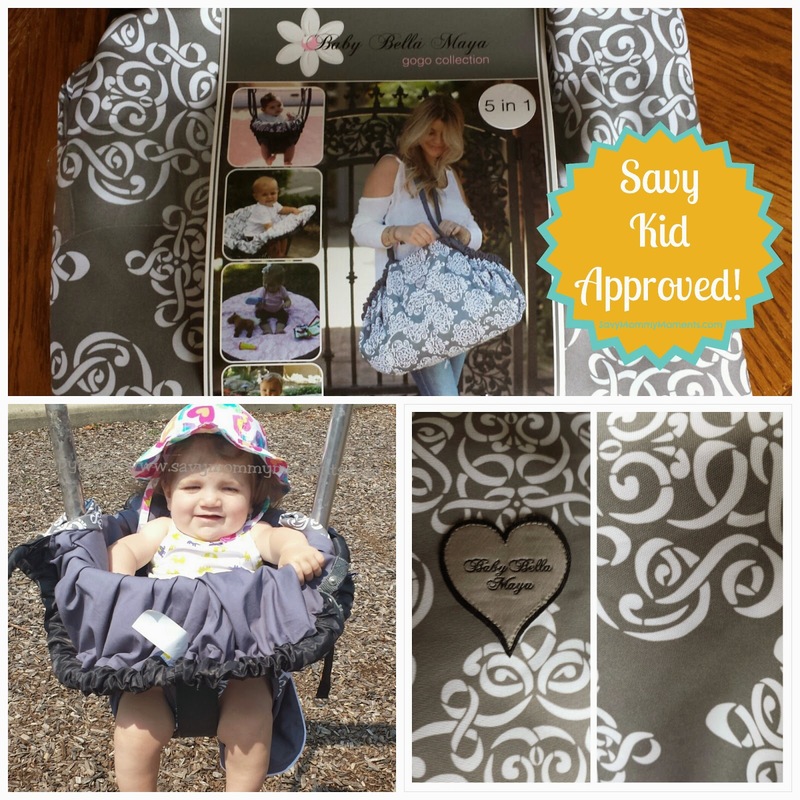 If you have a little one or one on the way, I highly recommend checking out this bag! It also would be an excellent shower gift! 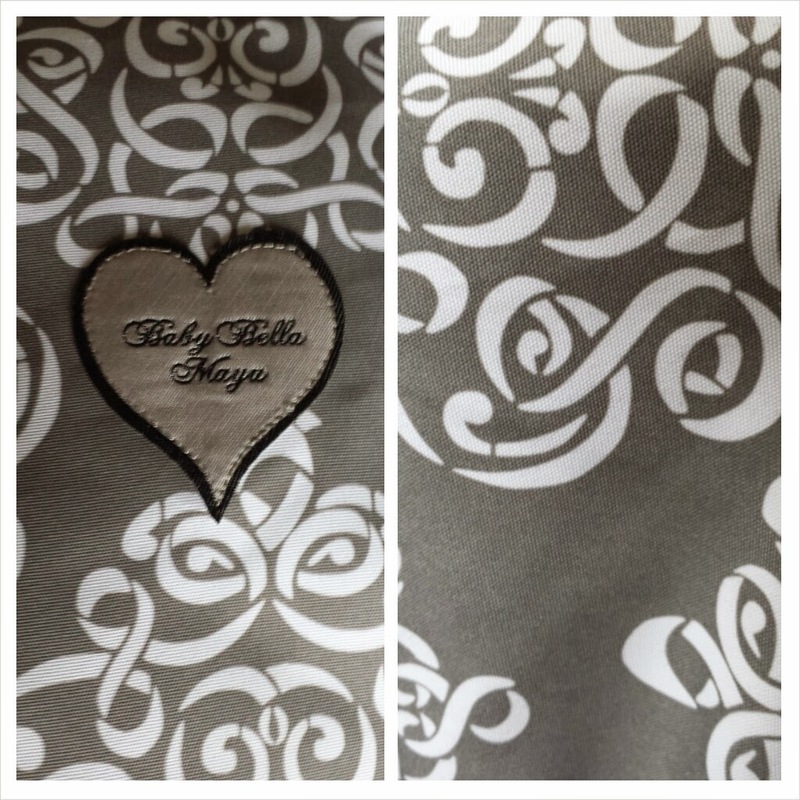 Learn More: You can check out this bag and the entire Baby Bella Maya product line on their website. Enter below for your chance to win a Baby Bella Maya 5-in-1 Diaper Tote Bag! Giveaway open to U.S. residents only and ends at 11:59pm CST on 9/21/14. The high chair cover is my favorite item. 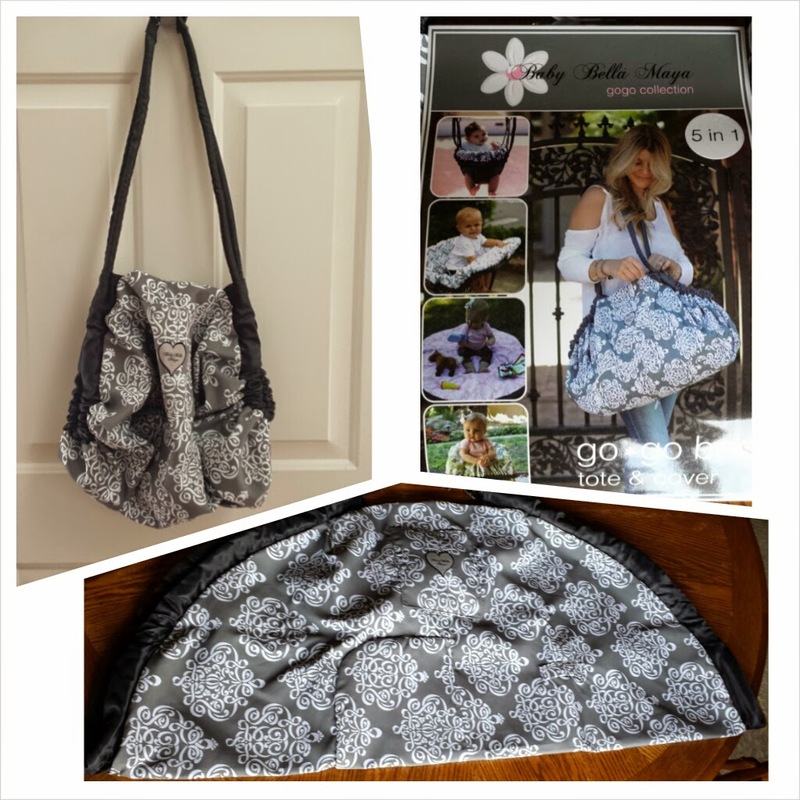 Very neat product-- that 5-in-1 diaper tote bag is wonderful. Thanks for the opportunity! I love that too! Thanks for commenting and reading my blog! Okay the diaper bag is AMAZING! 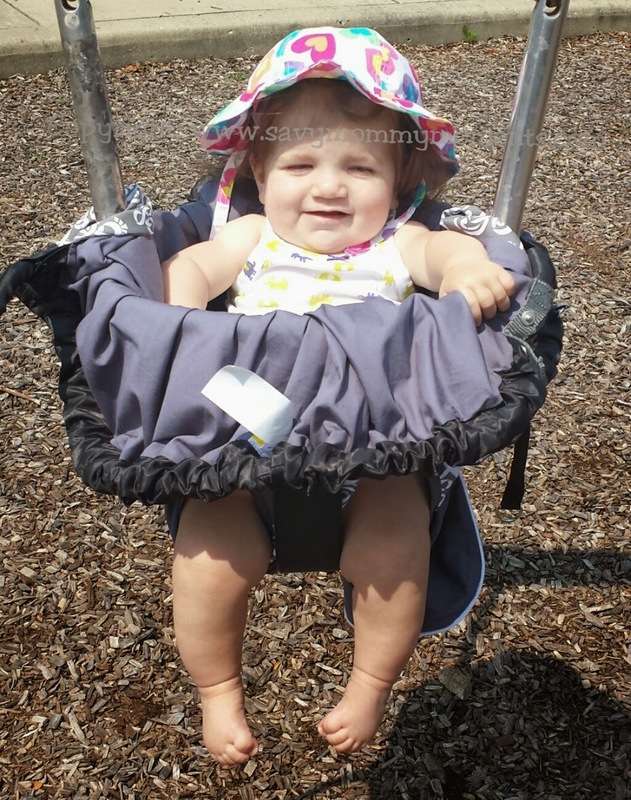 LOVE that it doubles as protection over all the crazy germs found at the park or in shopping carts! 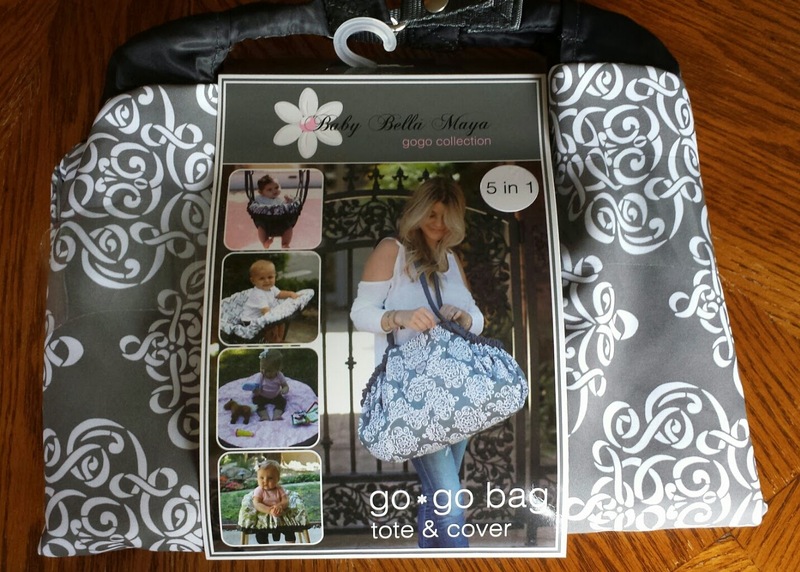 The cover & diaper bag combo is genius in my book! I also love the car seat cover... they would surely save this expecting mommy from not having to purchase a new carrier! Thanks bunches for the sweet chance! I agree! Germs, yuck! Thanks for entering and reading my blog! I most like the diaper bag in royal mist. I never bought a diaper bag but I'm thinking I should have....it's good to have something so versatile. Honestly, I love this design too! It's so pretty! Thanks for commenting and reading my blog! Love the hooded towel set! I would seriously use hooded towels as an adult I love them so much! Thanks for entering and reading! I love the Caramel Apple Swirl Stroller Blanket because it looks amazing! Sound too yummy to be a blanket, right?! I'm a huge green fan as we'll! I love the car seat covers! The sweet pea is my favorite! Car seat covers are fun! Sweet pea is really nice! Pinkabella Baby Blanket because it's so cute & looks very cuddly.